Saying an RV is a big investment is an understatement. You’re looking at tens of thousands of dollars on the RV itself, not to mention anything you upgrade and bring with you on a trip. Add those all up, and you’re looking some big money rolling around on four tires. You worked hard to earn that investment, but there are some people who would like to take it away from you. That’s why it’s so important to protect your RV. There are many products available to help keep your RV secure. With so many products available, you need to choose the system or product that will give you the most confidence. You will want only the best in certain situations, such as if you have many valuables in your RV, you’re not camping in the most secure site, or you don’t have the best insurance policy. Let’s look at different levels of RV security so you can find the ideal product or system for you. Unfortunately, terrible things happen when traveling. Whether it’s a flat tire or you lose your wallet, or a break-in occurs, you must be prepared for the worst on the road. When RVing, you may not spend all your time hanging out at your campsite. 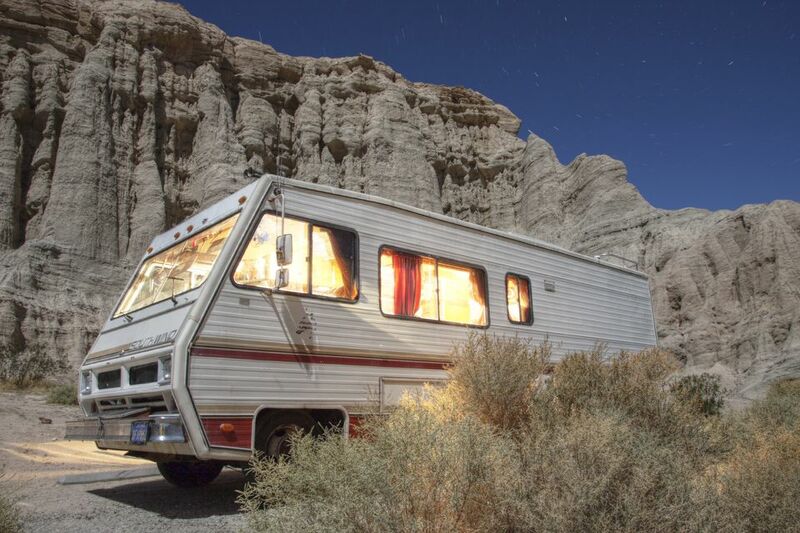 You’re going to go exploring, and RVs can be easy targets for break-ins. The RVing and camping community is trusting, and there’s always a few bad apples in that mix. Investing in an RV security system will give you peace of mind to avoid break-ins, damage, and other issues when you’re out adventuring or away from your rig for any reason. This is about as simple as it gets for security systems. These devices go onto the windows or doors of your RV and are armed when you’re not in the RV or sleeping. They will trigger if they are armed and the door or window is opened. The alarm could be an alarm noise or even alerts sent to your smartphone depending on the system. RV door and window systems can be as simple as deadbolts and drop bars to something more sophisticated and linked to your phone. If someone tries to jimmy a window, you’ll get a notification on your mobile device or these devices can alert the authorities in the area to respond. Perimeter systems or virtual fences are a good step up from a simple door or window alarm. They work by placing digital “posts” around your campsite or storage site to create a virtual perimeter. They can sound off an alarm or notify you when the perimeter is crossed. The main drawback with virtual perimeters is that they are triggered by many false alarms, such as a squirrel in the area or a camper cutting across your campsite. Use these virtual fences in areas where there is not much of a possibility for a false alarm. If you have pets, perimeter systems aren’t always the best if they’re off a leash. If you want the absolute best, then you would want an integrated RV security system. "Integrated" refers to several safety nets and redundancies as well as protection from hazards other than burglaries, such as fire and carbon monoxide. RV Security Systems is a good example. Depending on the system you get, you can have window and door alarms, motion detectors, storage compartment alarms and even alerts straight to your cell phone when alarms are triggered. You may even consider a motion-triggered video surveillance system. These systems can detect and record intruders while alerting both you and a private security network. They can send your cell phone a video feed, so you can figure out if the threat is worth notifying law enforcement. You can combine different elements of different systems to build your burglar proof RV system. You can add simple things such as floodlights or security stickers on windows as well for a little more security. The more elements you have, the better you can sleep at night knowing your investment is safe.